Columbus is a cylinder-shaped module a little smaller than the U.S. Destiny module (6.7 m long against 8.5 m and with a slightly larger span of 4.5 m against 4.2 for Destiny). It will accommodate 10 modular, interchangeable standard racks as well as 4 external instrument pallets. The racks will hold scientific experiments or stow instruments. The external pallets will accommodate experiments designed to test out new technologies, expose samples to the space environment and conduct astronomy observations or view Earth. 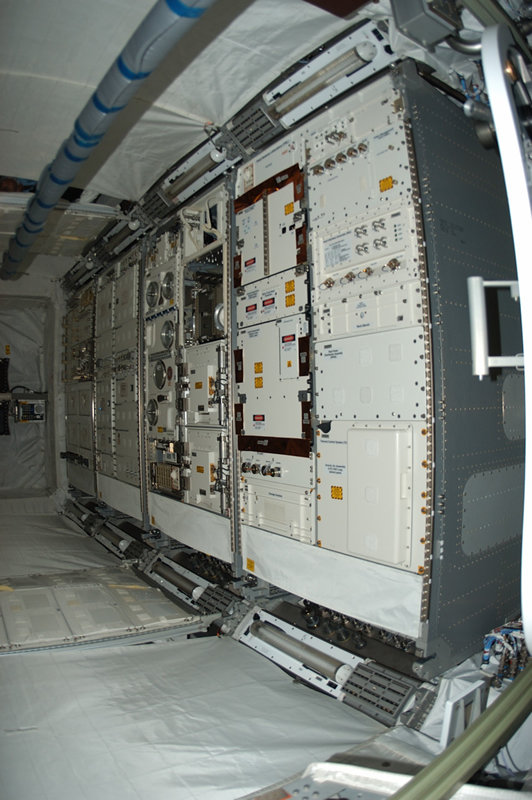 With 4 multifunction experiment racks and a container, Europe is supplying half of the racks inside Columbus. Inside the Columbus laboratory. Crédits : ESA/D. Ducros. Each rack will be assigned to a USOC*, which will validate science experiment procedures and protocols. 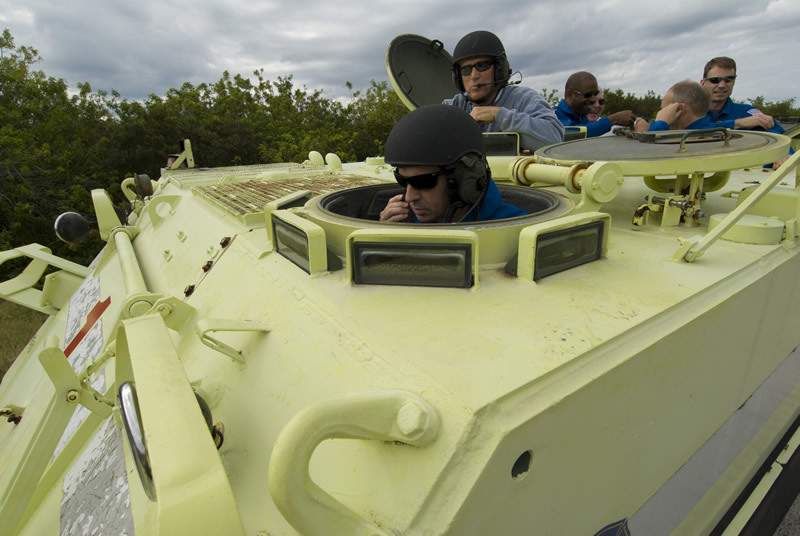 Each USOC will then support experiments, sending up instructions or advice to the crew via Eurocom, which handles communications between ground controllers and the ISS. On the ground, hundreds of researchers from all over Europe will be involved in monitoring experiments at these centres—among them the CADMOS facility in Toulouse, France—or from their workplace. Biolab is the 1st European experiment rack. As its name suggests, it is devoted to biology. For example, Biolab will hold cell cultures, small plants and invertebrates to study the behaviour of micro-organisms in microgravity. The 2nd rack is the European Drawer Rack (EDR), a multifunction facility designed chiefly for physics. The 3rd rack is the European Physiology Module (EPM). EPM will focus on the mechanical, physical and biochemical functions of living organisms in microgravity. The CADMOS facility in Toulouse will have responsibility for EPM. 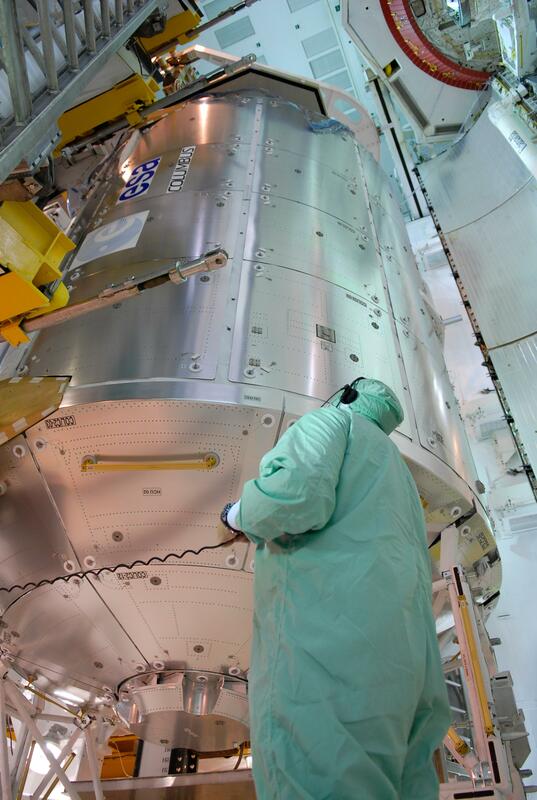 In particular, EPM will accommodate the French-German Cardiolab science module, developed jointly by CNES and the German aerospace agency DLR. Cardiolab will carry 10 instruments to measure physiological parameters and responses to different stimuli in an effort to learn more about the cardiovascular system in microgravity. 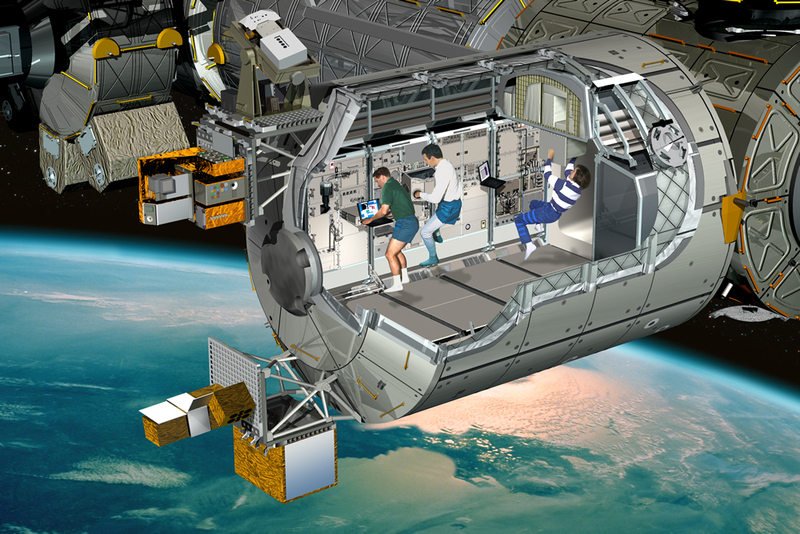 How does the nervous system control posture, muscular activity, balance and sleep in space? These are some of the questions that the MEEMM* science module in EPM is designed to answer. In Florida, the STS-122 launch campaign is entering its final phase. On 10 November, the space shuttle Atlantis was rolled out to the famous Launch Pad 39A, where the Apollo 11 mission crew lifted off for the Moon on 16 July 1969. Columbus was removed from its transport canister ready to be stowed inside the shuttle’s cargo bay. The last step is the crucial Terminal Countdown Demonstration Test (TCDT), which took place from 17 to 20 November. For all teams on the ground and for the shuttle crew, this practice countdown simulates all operations in the final hours leading up to launch. At the end of the rehearsal, the astronauts were briefed one last time on emergency evacuation procedures and shown how to use the slidewire baskets that would carry them away from the pad in an emergency. The final countdown to the STS-122 mission has now well and truly started.